The company said it has also opened two new petrol filling stations in the United States since the start of the year, and has made "very good progress" in generating further opportunities to grow there. At its annual general meeting in Dublin yesterday, shareholders also approved the payment of a maiden dividend of 1.25 cent per share, for a total of about €1m. Applegreen floated on the stock market in 2015. In Ireland, Applegreen said it had added four new petrol filling stations since the start of the year, as well as one new service area and five dealer sites. In the UK, it has opened three new petrol filling stations, as well as a motorway service area in Lisburn. "The pipeline of service areas continues to develop in both Ireland and the UK," chairman Danny Kitchen told shareholders yesterday. "We have a significant number of prospects in both core markets at various stages of the planning process, and are confident of further expanding our businesses in each territory." 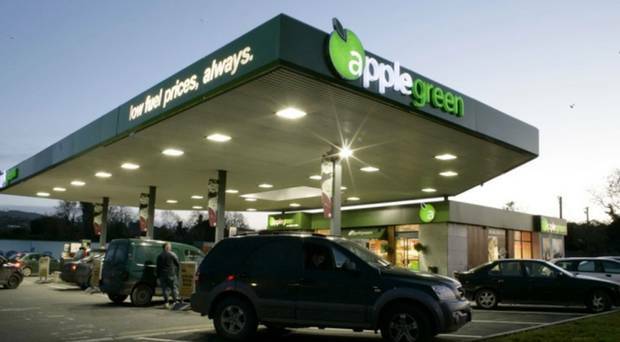 Applegreen is planning to develop a number of motorway service areas (MSAs) in the UK. It intends to submit a planning application for an MSA in Kirby Hill, North Yorkshire during the summer. Once that has been submitted, there will be a statutory public consultation period. Applegreen has predicted that the Kirby Hill MSA will involve an inward investment by the group of between £40m and £50m (€46m to €57m) and that about 300 jobs will be created. The company has been trying to win over locals and held two public consultation meetings last month. Plans in previous years by other operators for an MSA in the area have been defeated by locals. Some local residents have also launched a campaign to prevent the Applegreen development. Applegreen posted adjusted pre-tax profits of €21m last year, an 18.6pc increase in 2015. Revenue last year rose 8.2pc to €1.17bn. Applegreen has a number of outlets in Long Island in the US, and last year signed a deal to lease nine sites in Massachusetts from CrossAmerica Partners.